Hydroxypropyl Methylcellulose (HPMC) prevents the whiten degeneration resulting from the decomposition of citrus glycosides during storage and thus achieves preservation effects. Hydroxypropyl Methylcellulose can be added to fruit syrup and ice to make the taste better. 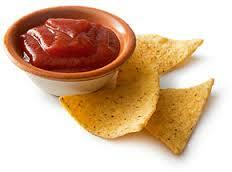 Hydroxypropyl Methylcellulose can act as emulsion stabilizers and thickeners of sauces and ketchup. It can be used for storage of frozen fish and can prevent discoloration and poor quality by using MC (methyl cellulose) or HPMC (hydroxypropyl methylcellulose) solutions for coating and glazing first and then freezing with ice layers. As the binder for the formation of tablets and pills, it has good bonding and “simultaneous collapse” performance (rapid melting when taking, or collapsing dispersion). It can enhance the viscosity of shampoos, detergents, and cleaning agents as well as the stability of bubbles. It can improve the liquidity of toothpastes. As suspension stabilizers and dispersing agents in polymerization, HPMC can be used together with polyvinyl alcohol (PVA) and hydroxypropyl cellulose (HPC) to control the distribution and shape of particles. As the bonding agent of wallpapers, it can replace starch and usually be used with vinyl acetate latex paints. Hydroxypropyl Methylcellulose can be added to insecticides and herbicides to improve the adhesion effect during spraying. Hydroxypropyl Methylcellulose can improve the emulsion stabilizer of bitumen emulsion and the thickener of styrene-butadiene rubber (SBR) latex. Hydroxypropyl Methylcellulose can act as the binder for the shaping of pencils and crayons.